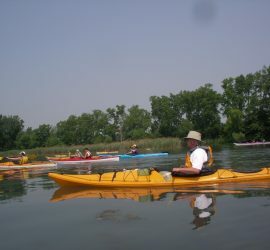 Riverside Kayak Connection offers Detroit River kayak tours from Wyandotte, Grosse Ile, Trenton and Detroit, a Lower Rouge River tour, and a yearly Paddle to Hell. 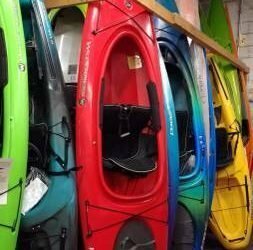 Riverside Kayak Connection's retail location is located in Wyandotte and has kayaks, lifejackets, paddles, kayak safety gear, roof racks and shoes. 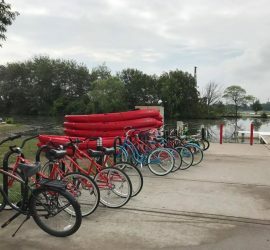 RKC Adventures is the exclusive vendor for kayak and bicycle rentals on Belle Isle Park in Detroit and at Wayne County's Elizabeth Park in Trenton. Electronic Gift Cards are available in any amount and are valid towards merchandise, tours, and classes. 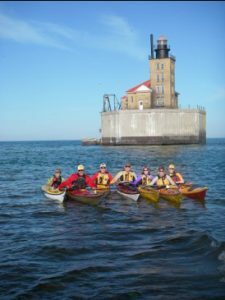 Our calendar shows upcoming classes, events, and tours. Information will take you to the webpage for additional details. Along with RKC staff, Team RKC Members will be at Yakapalooza to assist. Thursday 10:00 am. – 5:00 p.m.